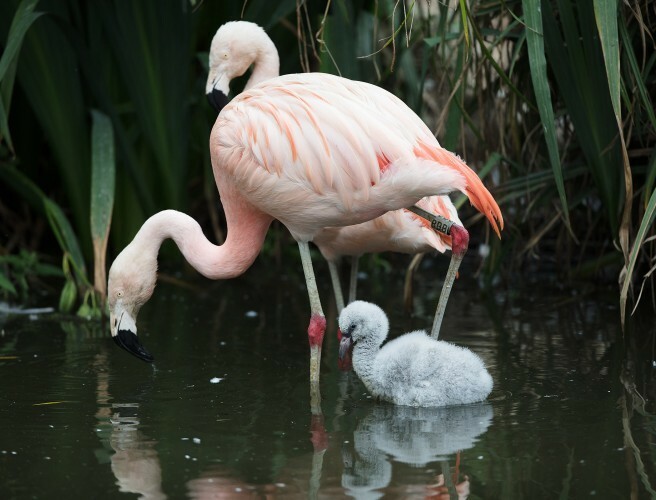 Dublin Zoo is celebrating the arrival of nine Chilean flamingo chicks to add to their 86-strong flock. Keepers are maintaining a watchful eye on a number of other eggs that have yet to hatch. This species is famed for its striking pink plumage with crimson feathers and wingspan of up to 100cm. At birth the chicks have a grey, white plumage which they gradually lose over two to three years. Eventually they come to stand at over a metre tall.